Look over at the tabs on the left of this page. Notice the words: what, why, who & how? Everything in life led up to this moment and I am bringing my experiences with me! I retired in my seventh year as a television news reporter- the majority of that time with NBC News. Before I ever stepped out of the live truck to interview someone, I wrote “The 5 W's & The H” on a fresh sheet of white legal pad paper. This ensured I gathered all the facts. By the time I was 5-years-old, I realized I wanted to be a reporter as I sat in front of the television with my attorney father watching COPS followed by prime time news. 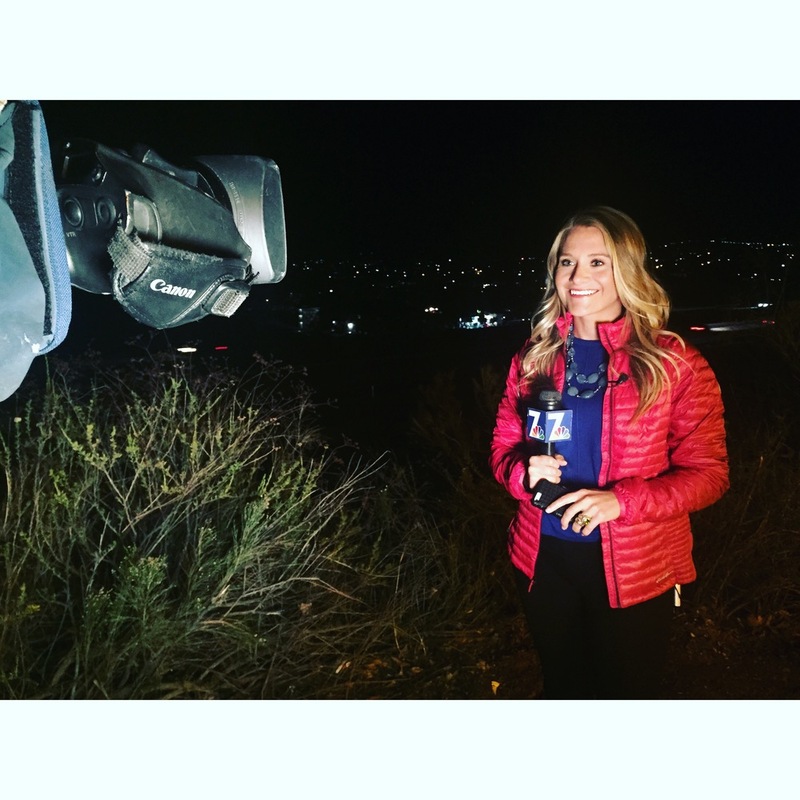 I became the Sports Editor of my high school yearbook; the main anchor of my college television station; a reporter in Joplin, Missouri who survived the Nation’s deadliest tornado since 1947; the lead reporter in my hometown of Tulsa, Oklahoma; then to chase the news in San Diego. On April 15, 2015, I set out to find a greater meaning of life. This landed me at the Mexico border on the Pacific Crest Trail. After hiking 2,200 miles for five months straight, I made it to the Washington border and truly understood life is all about balance. The reason I loved reporting had nothing to do with the fame and everything to do with the places I went and people I met. I had the privilege of learning from a person’s best day of their life or worst day of their life. How did they react? What got them through? What does their support system look like? As I grew, I realized I didn't want to report negative news and perpetuate negative human behavior any longer. I want to empower and inspire people to know they control their destiny. You don’t have to make the news to have your story told. So here I am, ready to tell your tale!